With over 25 years experience in the tourism industry, the Clark family look forward to providing you with a great base for your Galloway adventure. 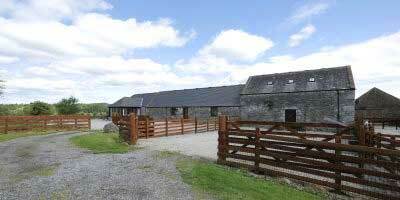 We offer you a warm welcome to a relaxing holiday in rural Galloway. Our cottages are all centrally heated, and can sleep from 1 to 6 people. All of our cottages have stunning views of the Girthon valley and beyond and the homes also have their own individual pet enclosures and secure bike storage.